Red flowers with dark calyxes bloom June to frost. 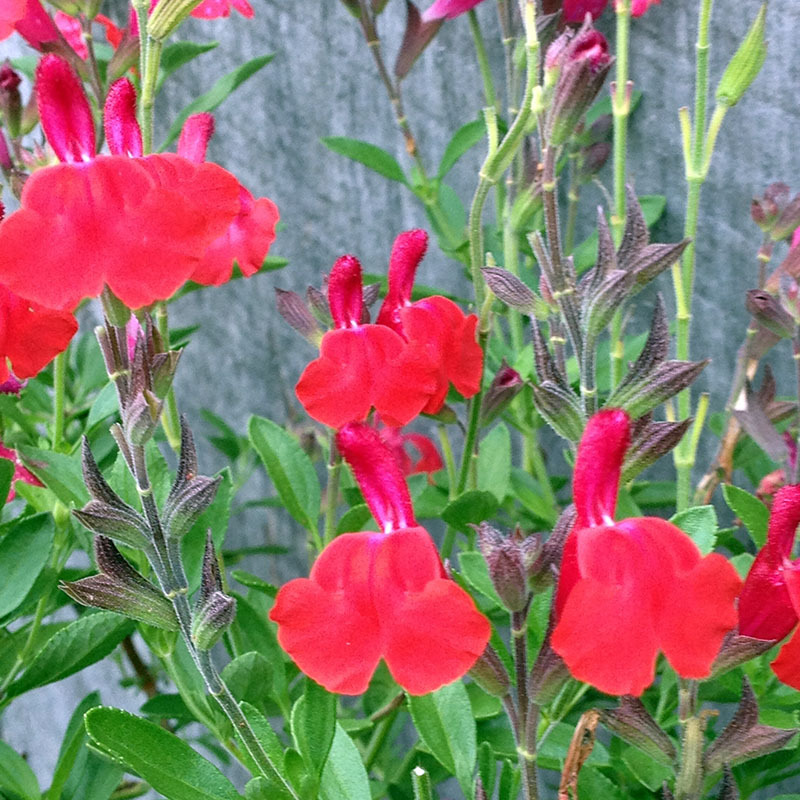 Hummingbirds adore this salvia and visit it all season long for its nectar. Winter hardy to zone 6 with good drainage. Don’t trim the woody stems September-March. Wait for new foliage to emerge before any heavy pruning. Full-part sun. Height 3′. Spread 3′. Deer resistant. Drought tolerant. Zones 6-9.